A poster designed by graphic designer and artist Rex Parker highlighting Goudy's Copperplate Gothic font. 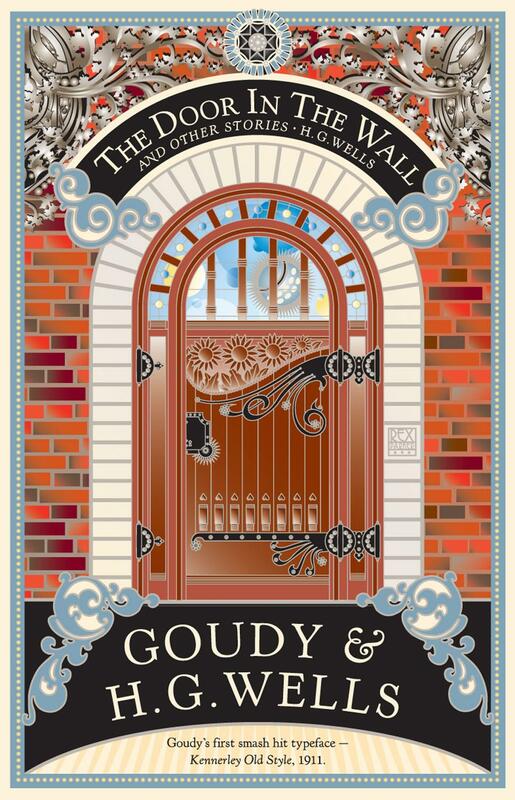 A poster designed by Rex Parker, on display at the McLean County Museum of History, honoring Bloomington native Frederic Goudy. A poster designed by Rex Parker, on display at the McLean County Museum of History, honoring Bloomington native and typeface designer Frederic Goudy. Park Ridge graphic designer Rex Parker. His posters highlighting the typeface designs of Bloomington native Frederic Goudy are on display at the McLean County Museum of History. A century ago, Frederic Goudy was a leading typeface designer, printer, and artist. His fonts are still in widespread use today. You may have heard of Goudy Old Style or Copperplate Gothic. 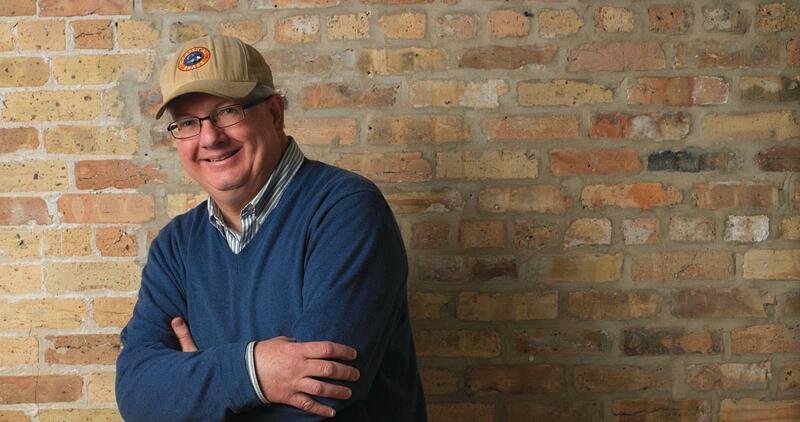 Goudy is also an inspiration for Park Ridge graphic designer Rex Parker. "His work on typefaces is as memorable as a da Vinci painting, as far as I'm concerned," said Parker. "Everything was hand drawn. He worked very hard. He took care and time on every letter." Parker has a designed a series of 35 posters highlighting the various typefaces designed by Goudy, and they're on display in a new exhibit at the McLean County Museum of History called "Frederic Goudy: Titan of Type." Many of Goudy's 125 typefaces were developed at the Village Press, part of an artist colony in Park Ridge. About 40 have been digitized. Still others have been lost, some in two separate fires at the Village Press. Parker said during an interview for GLT's Sound Ideas, Goudy was largely self-taught. He was born March 8, 1865, and spent the first 13 years of his life in Bloomington. It was a formative few years that put Goudy on his path. It was during this time he acquired a pantograph, a device that allows precise tracing of one drawing—or letter—to another piece of paper. "His father had a small library and he would always go in there and that's where his love of books he had (developed) and would carry thorugh his whole life," said Parker. "He would end up producing hundreds of new books during his lifetime." A poster designed by graphic designer Rex Parker paying tribute to Fredric Goudy's type face Kennerley Old Style. His first type design was at age 17, for Bible quotes on the walls of Sunday school rooms at a church in Shelbyville. It would be font he would circle back to later in life to develop. His first hit was Kennerly Old Style, used for H.G. Wells' 1911 short story collection "The Door in the Wall." Parker loves the font. "It works well as a headline. It works well as a body type," said Parker. "It's just this neat typeface and it has this whole American feel to it." Parker said that while typefaces are different by design, Goudy's can be recognizable as artistic, classy, and elegant, but still casual. "I always thought it was a central Illinois thing," said Parker. Parker suspects that if Goudy hadn't lived, some of his typefaces or fonts would have eventually been created, or something close to what was designed, but Parker thinks it wouldn't have been the output of just one designer. "It might have been six people. It wouldn't be one person," said Parker. "There are a lot of fonts out there now. They're flashy and they're good for a headline font, but you'd never put them in text." He said Goudy's fonts are great for a brochure or a book. "They're great body fonts," he said. And he agreed that most of Goudy's fonts don't tire the eye. "Titan of Type" is on display at the McLean County Museum of History through Nov. 24. Parker has worked as a graphic designer for 30 years. His clients have included United Airlines, Whirlpool, Hyatt, and T-Mobile. Standing in the middle of Andrew Jumonville's shop was a towering man. He was normal height, but on his pedestal he looked heroic.